In the last issue inquiring minds wanted to know how many calories you burned when you walk 1mile? You may remember from our previous Trivia question that one pound of fat yields about 3500 calories. Now we see that walking or jogging a mile only burns 100 calories. If you do the math you would have to walk or jog 35 miles a week just to lose one pound. That's five miles every day! Or if you wanted to take the weekend off you would have to go 7 miles a day! Ok, so does this mean it is too much work to exercise to lose weight or body-fat? NO. It is quite the contrary. You absolutely need to exercise to lose weight and to lose body-fat in a healthy fashion and to maintain it on a long-term basis. But how does it all work and where does exercise fit into the equation? Well, that is the subject of this issue's training tip. Definition: A calorie is a unit of heat or energy. The secret to weight and fat loss is outflow of energy greater than inflow of energy. That's right, you are going to have to expend more energy than you take in. I know it sounds like common sense, but it is true. Every healthy program or regimen out there works because of the application of this one principal. No matter what the claim of the designer of the program, this principle is what's basically at work. Whether it is the "Zone" or "Eat Right for Your Blood Type" the reason you are losing weight on these programs is because you are taking in less energy then you are expending. Here is a simple way to accomplish this to where you will lose 1-2 pounds a week. That is if you are over weight. If you are trying to fine tune and lose those last couple of pounds then this approach may not be as successful for you. Expend energy by exercising. 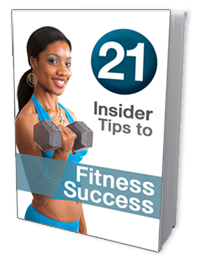 Expend 2-300 calories (walk 2-3 mile to accomplish this) 3-4 times a week. This would equal 600-1200 calories a week expended. Reduce the amount of energy you are consuming by 300-500 calories a day (ex.1 slice of cheese has between 100-120 calories, 1 cup of milk has 150 calories, 1 medium size scone has 300-350 calories etc I think you get the idea). This would equal 2100 calories to 3500 calories less a week. Your metabolism will go up due to the exercise you are doing so you will be burning more calories at rest than you do now so that will account for several hundred more calories burned a week. If you do these two actions you should lose weight. You also need to chart your progress by weighing yourself at the same time of day and on the same day each week under the same conditions, same cloths etc. This will allow you to accurately gauge your progress. One last note: I know you have heard numbers like 5-10 pounds lost in a week or 40 pounds lost in the first month. In order for that to all be body-fat you would have to burn 17,500 - 35,000 calories a week. Not likely unless you go out for a couple of 175 mile walks during the week. You can lose many pounds of weight however just be aware that it will not all be body-fat. A loss of 1-2 pounds of body-fat a week is a very good target. That means in three months you would have lost between 15-30 pounds and it would all be body-fat. Q. What is the best exercise to do to facilitate weight loss?